In addition to the various types of plant food that are on the market, there are also plant enhancers and “miracle growth” products that promise to make your plants bigger, the colors brighter, the blooms larger, and the blooming season longer. Some do, and some don’t. Just like any other product that promises something that seems too good to be true, there is an element of truth to the claims of these products but they don’t work for every plant. It is true that the combination of particular nutrients combined with proper watering and good soil can cause particular plants to flourish. Is it really that important for a casual gardener to use these miracle growth products to make their gardens much more impressive? Some people say no, and they are happy with working in their gardens and seeing the result. 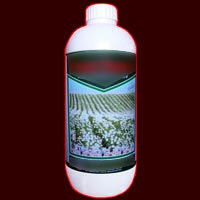 But sometimes it is necessary to use these growth products in order to keep your plants alive and healthy. If you live in an area that has very hard, nutritionally deficient soil but you want to grow a delicate plant like orchids or roses or lilies then your best bet to have your plants take root and survive is to use a plant growth product that is specifically formulated for that particular plant. The miracle growth product along with watering and liberal use of fertilizer and mulch can make it possible to grow beautiful exotic or delicate plants in even the worst conditions. So while these products can work as “super enhancers” for already thriving plants they can also be the key to survival for plants that ordinarily wouldn’t do well under tough circumstances. If you live in the desert and you want a beautiful, lush rose garden, you will need to use a plant enhancer to make that happen. If you live in the freezing cold Snowbelt and you want to create an exotic tropical garden, you will need to use a plant enhancer. Plant enhancing products can be very useful for the professional gardener who wants their plants to be a cut above all the others and also useful for the everyday beginner gardener who wants to create the garden of his or her dreams in less than ideal circumstances. Not sure which plant enhancer is the best for your particular needs? Ask someone at your local gardening center for advice on which plant enhancer will give you the results you’re looking for.